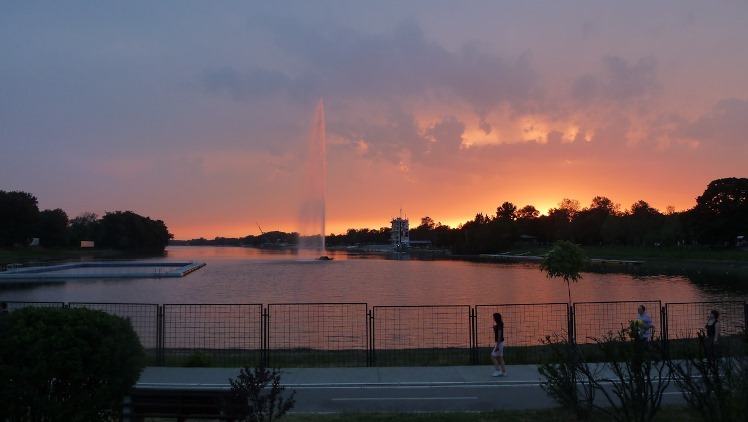 Belgrade is a city of hedonism, great food, nightlife and bars where fun is guaranteed. 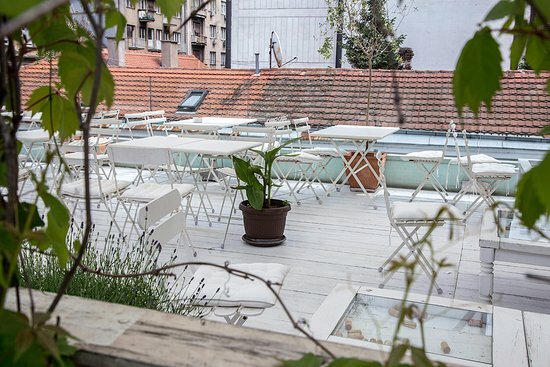 The best way to observe Belgrade’s skyline is to visit some of the most attractive rooftop bars. We have listed some restaurants which also offer a spectacular view of the city. 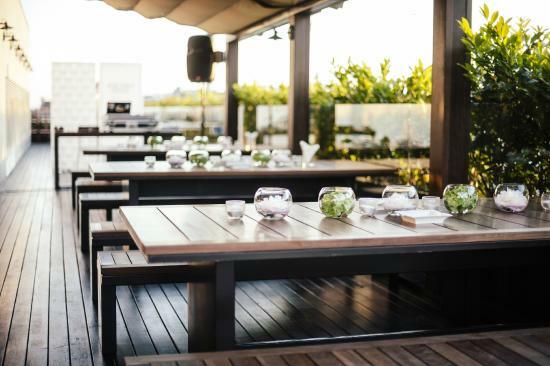 One of the most attractive rooftop bars in this part of Europe is located on the roof of the recently opened Mama Shelter hotel in Knez Mihailova Street. With a beautiful view of the Old Town, Belgrade Fortress, Zemun and New Belgrade, and a unique atmosphere, you’re sure to enjoy your visit. Here you can relax with some coffee or cocktails while listening to hand-picked music by local deep house DJs. If you get hungry, don’t worry: the hotel’s indoor restaurant will cater to your taste buds. At the very heart of Belgrade, on the corner of Višnjićeva and Jevremova Street, there stands the Wine art wine cellar, a shop that captivates with beauty and represents an authentic mix of modern and rustic. You will enjoy a pleasant atmosphere, beautiful interior and exterior and high-quality wines, both domestic and those from all over the world. The cellar also has a wine shop and a wine bar offering a true variety of wines. Having a glass of wine in a lush garden that smells of lavender and olives is something that must be experienced firsthand. It is no coincidence that this restaurant bears the name of the man who became a symbol of his time. It is known that the famous tenor Caruso was a great hedonist, and this place is quite a paradise for those who enjoy great food and wines. The restaurant is located in the very heart of Belgrade, on the 8th floor of the building at Terazije Square, but despite that you’ll feel removed from the city hustle and bustle. 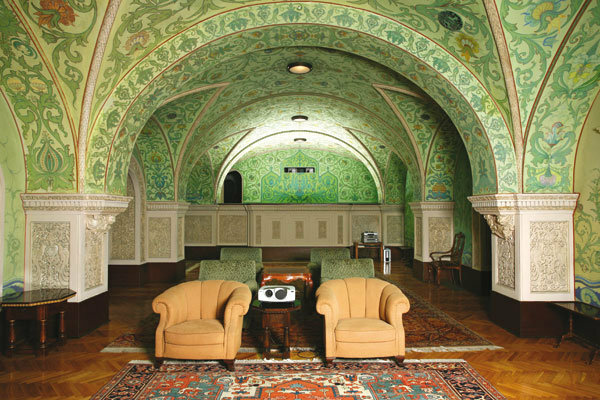 The interior of the restaurant depicts Caruso’s love for antiquities, while the ceiling is filled with the images of his beloved muses. The menu is a blend of Mediterranean, Serbian and Balkan cuisine. Named after the Japanese God of fishermen, the Ebisu restaurant is located on the last floor of the Square Nine hotel and offers a stylish interior, a beautiful terrace overlooking the most charming historical district of Belgrade and a restaurant offering authentic Japanese cuisine. Professionally made sushi makes up the half of Ebisu’s menu, but other traditional Japanese dishes get just as much recognition, such as Aburi, the noodle soup, spring rolls, soft shell crab and Teppanyaki grilled meat and seafood. The groceries are imported from Japanese markets all over Europe, and you can choose always fresh fish ranging from the Pacific tuna and sea bass of the Adriatic Sea to the Norwegian salmon. The carefully stocked bar offers the best beers, wines and spirits from Japan. A sophisticated selection of sake, including dry, semi-dry and premium sake, top quality Japanese rice lagers and single malt whiskeys as well as a ‘saketini’ menu with a selection of Japan-inspired innovative cocktails accompany your perfect Japanese meal. The Sinnerman Club, located at no. 5 Nikola Pašić Square on the seventh floor of the building ‘’Dom Sindikata’’, is the ideal choice for admirers of good jazz music, great food and a relaxed, light-hearted atmosphere with a great view of the center of Belgrade. There are no words to describe this club. It’s a place that brings together today’s youth, locals and foreigners. You can simply grab a coffee or stay until midnight and bask in the amazing surroundings.